Desk jobs are a necessary evil of the modern world. You know they wreak havoc on your body, but the alternative (you know, not working) wreaks havoc on your bank account. If you’ve gotta have the money, honey, you’ve gotta do the work. Luckily, you don’t have to resign yourself to the physical perils of prolonged sitting. Set a timer to go off once an hour, then get up, move around and do a couple of these stretches to combat the tightness that leads to back, neck, and shoulder pain. This neck release series can help counteract the poor posture and muscular tightening associated with desk jobs. 1. 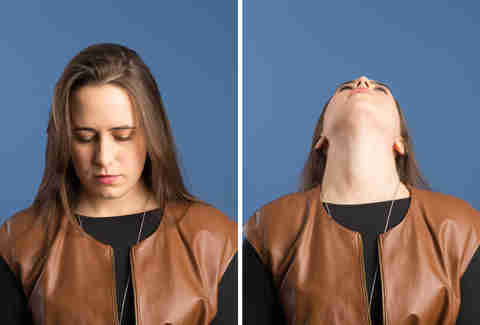 Slow nod: Bend your neck forward, touching your chin to your chest for a second, then reverse the movement, bending your neck backward as far as you can as you look up to the ceiling. Hold for a second. Perform this slow nod five times. 2. 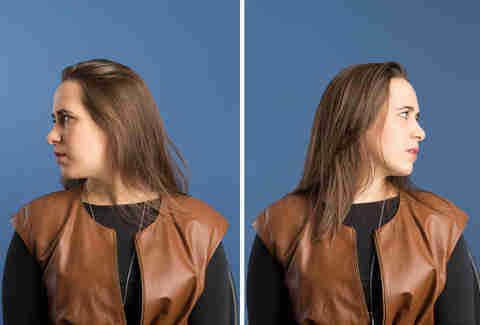 Slow shake: Twist your neck as far as you can to the left, looking over your left shoulder, then hold for a second. Twist your neck as far as you can to the right, looking over your right shoulder. Hold for a second. Perform the head shake five times. 3. Half neck rolls: Lean your head back, your eyes to the ceiling, and roll your head slowly from shoulder to shoulder, holding for a second at each shoulder. Repeat five times. Tilt your head forward, chin to chest, then roll your head from shoulder to shoulder, holding for a second at each shoulder. Repeat five times. Take a quick personal assessment -- are your shoulders hunched or rounding forward? The “hunch and round” is a byproduct of poor posture while sitting. The shoulder release series can help you reset your posture quickly. 1. 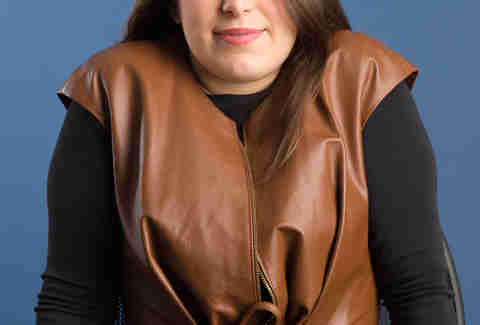 Shoulder shrugs: Sit tall and shrug your shoulders as high as you can up toward your ears and hold for two to three seconds, then release, completely relaxing your shoulders. Repeat five times. 2. Backward shoulder rolls: Sit tall and roll your shoulders backward in a slow and exaggerated movement, really focusing on tightening your shoulder blades and drawing them toward each other to help pull your shoulders back. Hunched shoulders lead to shortened muscles through the chest, which can contribute to upper back and neck pain. The chest opener stretches the shoulders, resetting proper posture as you also open up and stretch through the your chest. Stand tall and clasp your hands behind your back, your palms pressed together, your arms fully extended. Take a deep breath in, look up toward the ceiling, then as you exhale, press your hands down as far as you can as you draw your shoulders backward to widen the chest. Hold for 10 seconds, release and repeat two more times. As you continue working your way down your body, the seated spinal twist helps release stress and tightness along your spine while maintaining flexibility and range of motion. 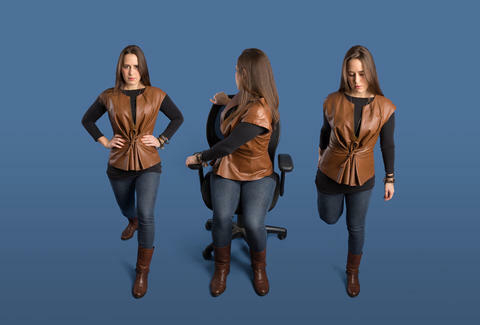 Sit tall in your office chair, your feet flat on the ground about hip-distance apart, knees bent at a 90-degree angle. Maintaining good posture, twist your spine to the right as far as you can, grasping the back of your chair with your right hand and the right armrest with your left hand. Hold for five seconds, then release to center before repeating to the opposite side. Perform three sets per side. One of the biggest perils of constant sitting is the shortening of the hip flexors and quadriceps. This, combined with a weakening of the hamstrings, are major contributors to low back pain. Making an effort to stretch your hip flexors and quads a couple times a day works wonders for overall posture and muscular health. 1. Standing hip flexor stretch: Stand with your feet staggered, one about a foot in front of the other, roughly hip-distance apart. Keeping both feet planted on the ground with your hands on your hips, bend both knees slightly and press your hips forward until you feel a stretch through the front of your hip of your back leg. Hold for 15 seconds, release and repeat two more times, then switch legs. 2. Standing quadriceps stretch: Stand tall, feet about hip distance apart directly under your hips. Shift your weight to the left and lift your right foot from the ground, bending your right knee behind you as you grasp the top of your right foot with your right hand. Use your hand to draw your heel toward your glutes. Hold for 20 seconds, release, and repeat before switching legs. Finish your stretching series by giving your calves a little love. Calves really lengthen when you stand up and walk around, so constant sitting prevents them from enjoying much movement. Find a wall and stand facing the wall, feet hip-distance apart. Flex your right foot and place the ball of your foot against the wall, your heel on the ground. Press your heel down to deepen the stretch and lean slightly forward, hands light against the wall, if you need even more. Hold for 15 seconds, release and repeat before switching legs. Laura Williams is an exercise physiologist and fitness writer who's battling her own case of "text neck." Commiserate with her on Twitter @girlsgonesporty.